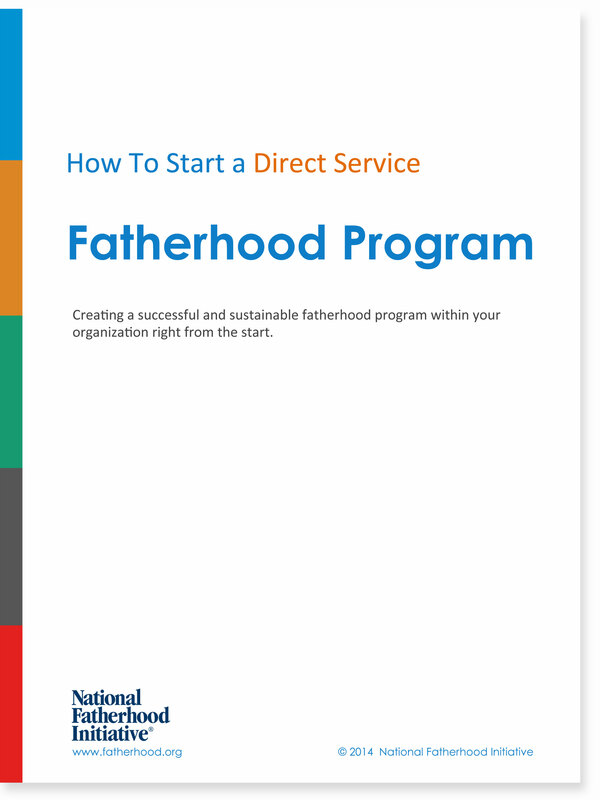 © National Fatherhood Initiative (NFI), 2013. Content may not be reproduced without written consent from NFI. Babies are healthier, with fewer complications at birth1. Babies are 4 times more likely to celebrate their first birthday2. Babies are less likely to experience Sudden Infant Death Syndrome. Babies have improved learning and emotional development. Children are more likely to go to well-baby visits. Children have higher developmental scores and fewer behavior problems later in life3. Let him know that his opinion matters. Invite him to your prenatal appointments. Do your part to keep him “in the game,” and allow him to parent differently than you do. Praise him. Criticize him. His experience with his own father affects his fathering style. Recognize and address the history you have with your own father - it can influence how you relate to your child’s father. 1Alio, A.P., Mbah, A.K., Kornosky, J.L., Marty, P.J. & Salihu, H.M. "The Impact of Paternal Involvement on Feto-Infant Morbidity among Whites, Blacks, and Hispanics". Matern Child Health J. 2010; 14(5): 735-41. 2Alio, A.P., Mbah, A.K., Kornosky, J.L., Marty, P.J. & Salihu, H.M. "The Impact of Paternal Involvement on Feto-Infant Morbidity among Whites, Blacks, and Hispanics". Matern Child Health J. 2010; 14(5): 735-41. 3Ibid, 2004. Ramchandani PG, Richter LM, Stein A, and Norris SA (in press) Maternal antenatal stress and later child behavioural problems in a socio-economically deprived, urban South African setting; the longitudinal Birth to Twenty cohort study. Journal of the American Academy of Child and Adolescent Psychiatry.